Mexikoma the ‘Safe Choice’ in Sunshine Millions at Gulfstream Park: Competitive large-field races are what bettors enjoy, and Saturday’s $250,000 Sunshine Millions Classic at Gulfstream Park features a 10-horse field with at least a few key contenders. Out of the main choices, Mexikoma seems like the safest choice to hit the board for Team Valor International. Mexikoma, once considered a Derby contender in 2014, never quite lived up to his potential after Team Valor bought the colt from Michael Dilger and transferred him to Richard Mettee. Now back with Dilger since last summer (while still owned by Team Valor), Mexikoma has posted two wins out of five starts. If there is one primary concern with Mexikoma, he only finished an “okay” third and fifth in two tries at Gulfstream Park. The initial try over this dirt surface came against graded stakes horses such as Constitution and Tonalist, which makes the loss more forgivable. Last month, he finished fifth in the ungraded Harlan’s Holiday. From the middle post position, jockey John Velazquez can secure good position right after Sr. Quisqueyano and Mr. Jordan cross from their outside posts. While he lacks a win at Gulfstream Park, Mexikoma’s TimeformUS numbers are solid, although not mind-blowing. If a speed duel develops, he will take advantage. 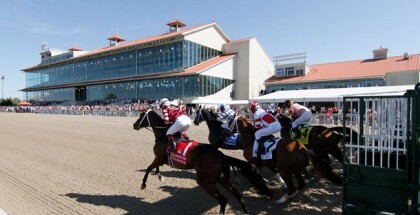 Much reason exists to believe a fast pace will happen in the Sunshine Millions. Sr. Quisqueyano and Mr. Jordan possess plenty of speed and each would prefer an uncontested lead, if the opportunity arises for one. Assuming neither horse scratches, finding an easy time up front should be difficult. Then again, Sr. Quisqueyano won this race last year after putting away the cheap speed I’m Steppin’ It Up and holding off East Hall in a visually fantastic effort. I’m Steppin’ It Up’s odds were 60 to 1 though. 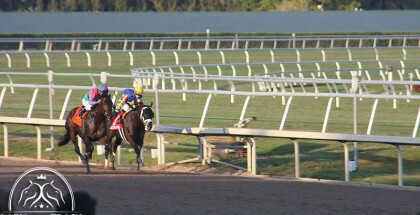 When a super-longshot leads, it is the same as no horse leading or the second horse in front. While it is true Wildcat Red, who starts in an undercard race on Saturday, also pressed the pace in the Sunshine Millions last year and quickly faded, he never raced again until July. Most likely, Wildcat Red came out of the race injured. The fact Sr. Quisqueyano outlasted him too becomes less significant as well. To illustrate this point, Sr. Quisqueyano lost his next five races. Still, trainer Peter Walder hopes for a turnaround. “I’ve kind of been pointing to this race all year. It’s his time to wake up,” Walder said. Mr. Jordan, like Sr. Quisqueyano, comes with a losing streak. He last won in the Pegasus Stakes (GIII) at Monmouth Park back in June after stalking the pacesetter Tekton. In August, Mr. Jordan faced American Pharoah in the Haskell (GI). Cross the effort out. Mr. Jordan returned in December in the Harlan’s Holiday, the same one Mexikoma ran in, and faded to third place after setting a decent pace on an uncontested lead. Just last weekend, Mr. Jordan faded again to fifth in the Hal’s Hope (GIII). The bump at the break possibly affected his run. Sure, Sr. Quisqueyano and Mr. Jordan are capable of numbers large enough to win. One of them may work out a good trip. At the same time, they are untrustworthy and need to be included with a safer option. The final horse with a chance to win is Runs With Bulls, who Walder also trains. This seven-year-old gelding is on a three-race winning streak, but two of those wins came at lowly ThistleDown. The third win came here in the Starter Stakes. He earned a 100 TimeformUS Speed Figure, a number lower than the above three can produce. As with his other entrant, Walder spoke positively of his horse’s chances anyway. “He looks like he’ll run all day. His numbers are good. Why not?,” he said. Perhaps Walder refers to Runs With Bulls’ Beyer Speed Figures, which sometimes differ from TimeformUS numbers. On the plus side, the high-percentage Javier Castellano takes the call. The Sunshine Millions Classic appears tough this year. As long as there are no scratches, Mexikoma projects for a setup. Given his closing style, and how Sr. Quisqueyano and Mr. Jordan run, the Birdstone colt figures to be around the leaders towards the end. Use them all in horizontals and backwheel Mexikoma in exotics. 4 Saraguaro 5-1 Castro/Joseph, Jr.
9 Mr. Jordan 7-2 Bravo/Plesa, Jr.